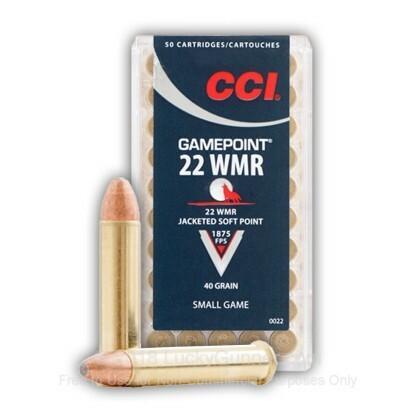 This CCI Gamepoint is perfect for hunting small game and varmints. Newly manufactured by CCI, this product is sure to provide many hours of fun and effective hunting with a hard hitting load. 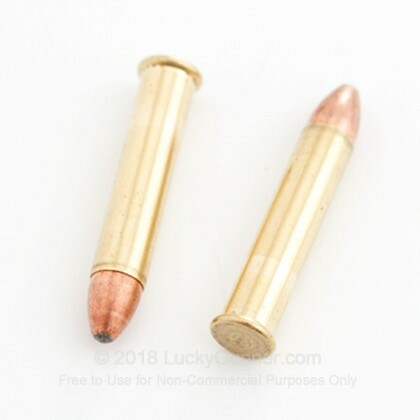 This round is also great for target practice or plinking. 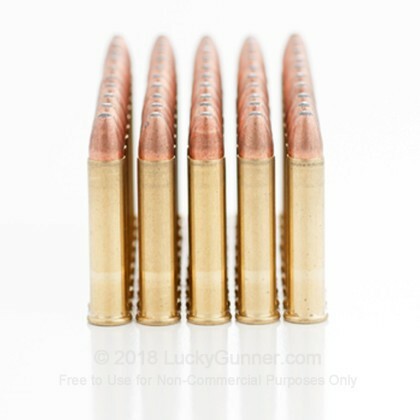 This Jacketed Soft-Point design wraps all but the tip of a solid lead core with a thin copper plating to reduce muzzle build-up and retain a stable aerodynamic profile through flight. Upon impact, the Soft-Point allows for controlled expansion, offering a great balance of cavitation and penetration. 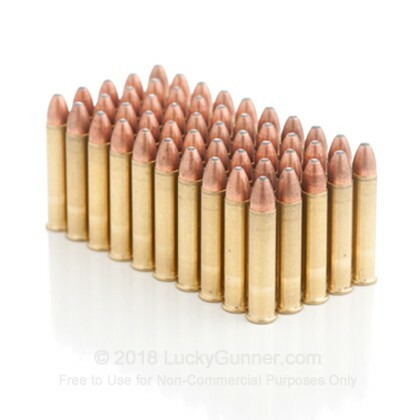 Ammo performs flawlessly but what really makes it great is the service I receive from Lucky Gunner. 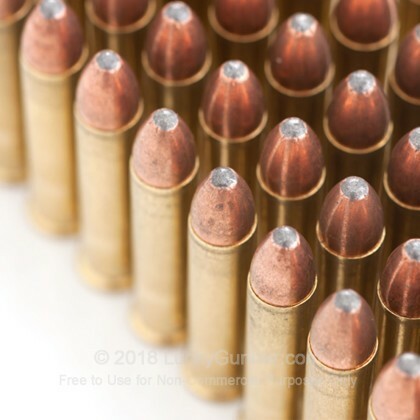 Value is a relative point when you consider that these guys don't advertise what they don't have, they have a quick cycle time and usually have stock on some of the harder to find calibers. I won't buy anywhere else. this is an excellent product,i'm well pleased. Product exceeded my expectation, no mis-fires I would recommend to others! Products and service were great! Thanks Lucky Gunner. CCI has done it again. 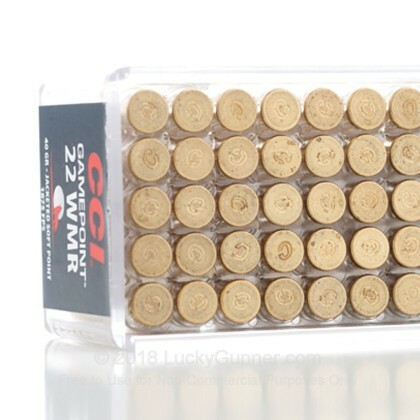 This is a very good quality ammo for the price. 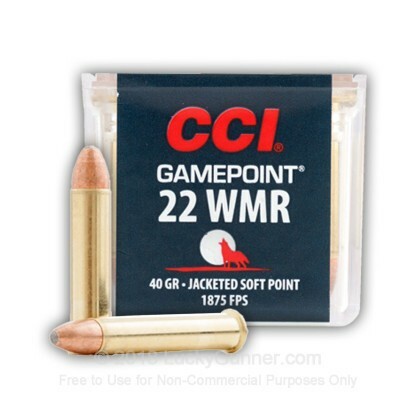 I use CCI primers quite a bit and just like the primers this ammo is top notch. 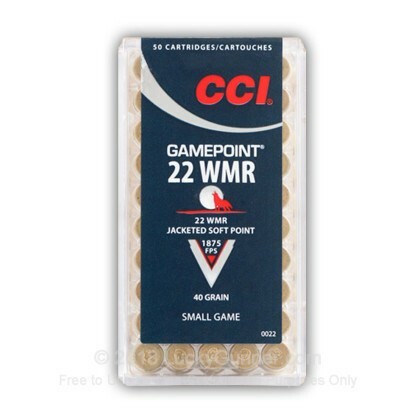 I would recommend it to anyone wanting a good quality, good performance ammo. No misfires, hang ups, jams. CCI is still in my opinion one of the best made. A: Yes! 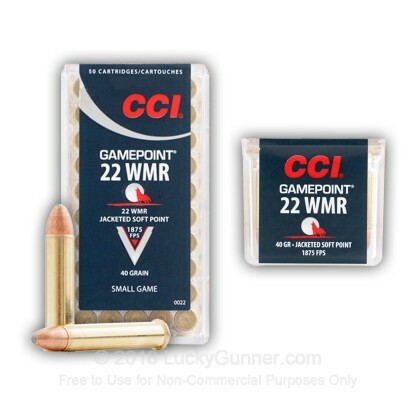 These 22 Magnum/ .22WMR rounds will function well in your pistol. 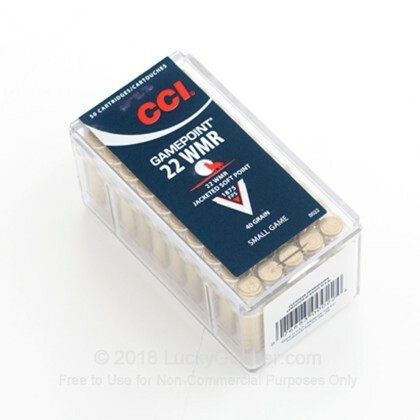 The CCI brand of 22 caliber cartridges have turned into a popular favorite among 22 WMR enthusiasts. 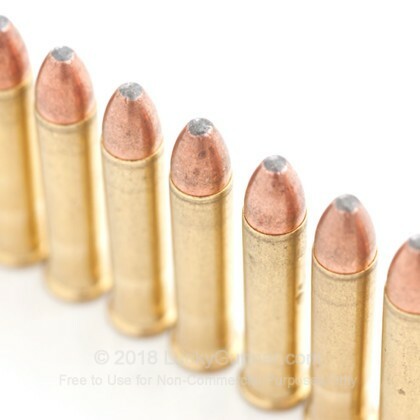 All brass rounds are non corrosive.